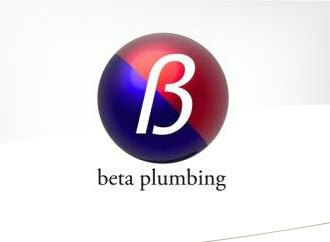 beta plumbing and handyman services provides affordable, reliable and skilled plumbing and handyman services around mid-Bedfordshire, including Silsoe, Clophill, Ampthill, Maulden, Barton, Flitton, Greenfield, Flitwick, Pulloxhill, Gravenhurst, Westoning, Toddington, Streatley, Shillington, Meppershall as well as Luton and Bedford. Call today on 01525 864859 or 07720 723653.
what kind of plumbing services are provided? If you’re looking for a reliable, qualified, local plumber to replace your existing bathroom suite, kitchen sink and taps, add plumbing for a washing machine or dishwasher, move or replace a radiator, repair or replace guttering, fix leaks or burst pipes or clear blocked drainage, beta plumbing can help. If you’re looking for a handyman who can assemble flat pack furniture, replace a faulty light switch, install or build some shelving, put in a ceiling fan, paint or wallpaper a room, repair a fence, lay laminate flooring, powerwash drives, paths or patios or perform pretty much any other maintenance or repair project, beta handyman can help. Call today on 01525 864859 or 07720 723653. · to be punctual; we understand you may have other commitments. · work to suit the customer; beta plumbing is committed to scheduling a plumbing or handyman job that will suit customer’s schedules. · to keep you informed; letting you know what needs to be done or has been done. · to clean up afterwards; the last thing you need is to have to clean up after a plumber or tradesman. a plumbing and handyman service that cares about its customers. beta plumbing and handyman service provides homeowners with a superior service at affordable prices. Our happy customers give us lots of repeat business and lots of nice compliments. Call us today for minor or major repairs, small decorating projects or just to finally get that to-do list completed. Advice and consultation is always free, as are estimates, no matter how many visits are made. A 12 month guarantee is included on all work, and £1m public liability insurance cover is held. Call today on 01525 864859 or 07720 723653.